For many DIY installers and first-time wrappers, proper cleaning and preparation are the most overlooked steps of the process of vehicle wrapping. Most DIY wrappers buy a roll of film and think they can just unroll it, remove it from the liner and start wrapping. Let us be the first people to tell you: you cannot do this. Without an adequately cleaned application area (a garage for example) and a thoroughly cleaned and prepared vehicle your chances of getting good results are very close to zero. Why buy an expensive roll of 3M™ 1080 Series or Rwraps™ film only to ruin it by failing to do the most basic prep work? In the following, we’ll go over the basics of cleaning and preparation as well as cover some of the tips that pro-installers use to get the best possible results. It may seem overly simple but the single, best thing you can do to prepare for vehicle wrap installation is to bring your car into a car wash the day before you intend to apply the wrap. 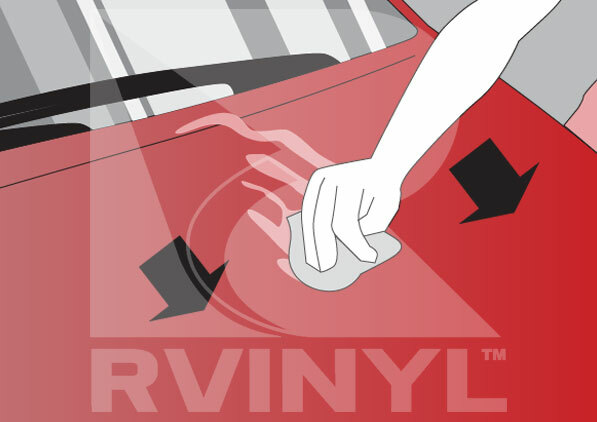 It's extremely important that you don’t use any fancy protectants or waxes as they can interfere with the vinyl wrap’s ability to adhere. It's equally important that you wait 24 hours in order to give it the time it needs to dry completely. Dry by hand deep inside the body of the car with a squeegee and a lint free towel. Use heat gun to dry around the molding, gaps and door handles. Open and slam closed the doors. It’s only dry when the towel is dry. Use an air compressor to blow out water around head and taillights and molding. In an ideal world you will be installing your vinyl wrap in an area that is protected from wind and rain such as a garage or car port. If you are forced to wrap outdoors you can simply skip this step. 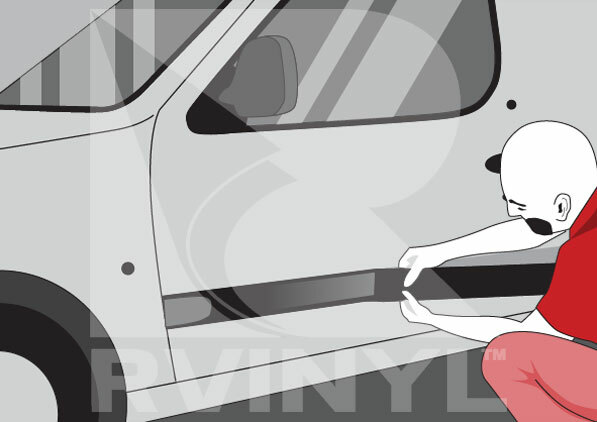 In order to ensure that ambient dust and dirt is not attracted onto the wrap's adhesive during installation. Sweep and vacuum the area and then mop the area. If your vehicle still has shiny wheels after a wash it means that silicon-based or oil-based protectants have been used on them. Why is this a problem? Simply because the wheels literally spray these substances onto the side panels of the vehicle making your job of cleaning and preparing the surface doubly hard. As much as you may not want to, you need to go the extra mile and remove hardware where dirt and grease can hide. This means that you want to remove all nozzles, emblems, side moldings and reflectors as a lot of grime holes up in there. Fold up your micro-fiber cloth or towel into quadrants so you can get 8 sides for the price of two. 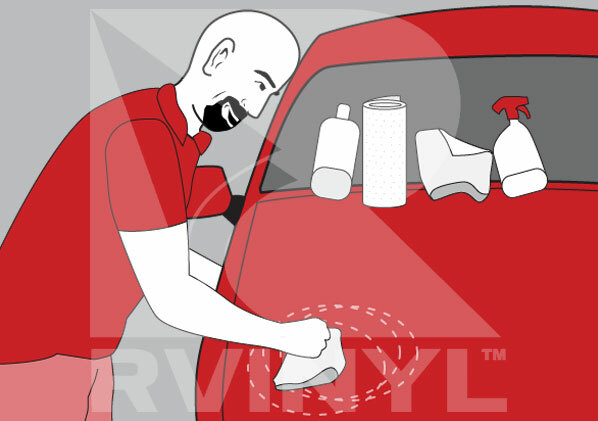 Proceed to clean each section of the vehicle and flip to the next side when you’re done. 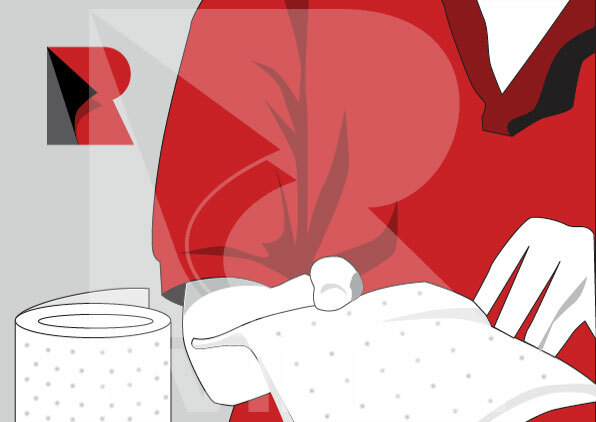 Not only will you save time but you can know with certainty which areas have been thoroughly cleaned. 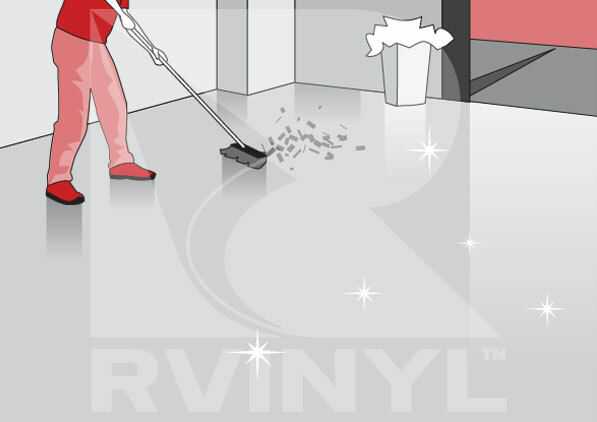 Don’t forget to overlap your cleaning strokes too on wide areas and clean open doors and edges in order to completely cover all areas. You should use both a general cleaner and a degreaser or an all-in-one. There a number of these products on the market so be sure to do a little homework on which you need and which will work best for your application area. And, as always, be sure to use the proper safety gear like gloves and goggles to avoid potential damage to skin, eyes and mucous membranes. Use a squeegee wrapped in a towel to get into the areas where your fingers can’t reach. 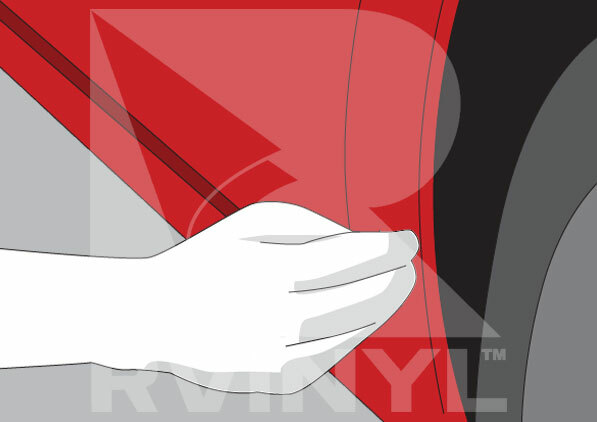 Examples of these areas are the seams between panels, headlights, taillights, bezels, etc. Unless you want to ruin your wrap job clean everywhere. That means under the wheel wells, under the hood and every surface of the car that can be accessed, even if it’s not being wrapped, like the windows and glass. 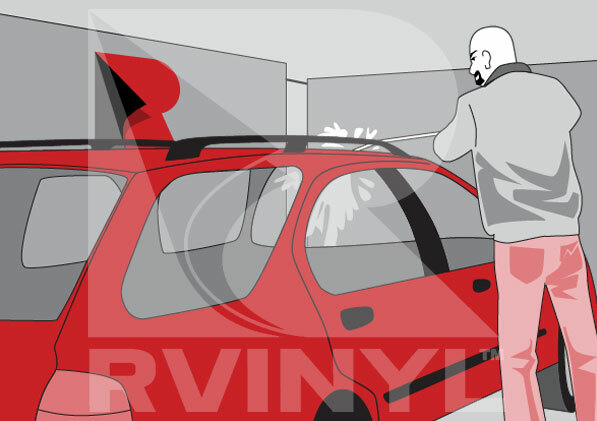 Why risk the wrap being damaged when you can prevent it with a little extra cleaning? Use a clay or Scratchless sponge (especially on older cars) to remove any remaining blemishes or imperfections. Doing so will give you the best possible results. Step 9: So the "Squeak Test"
Basic car wash (no waxes or protectants) the day before because it allows for complete drying. If wheels are shiny that means they’ve use a protectant silicone-based or oil based which means that it has been splattered along the whole side of the body. Use a clay bar or scratchless sponge.